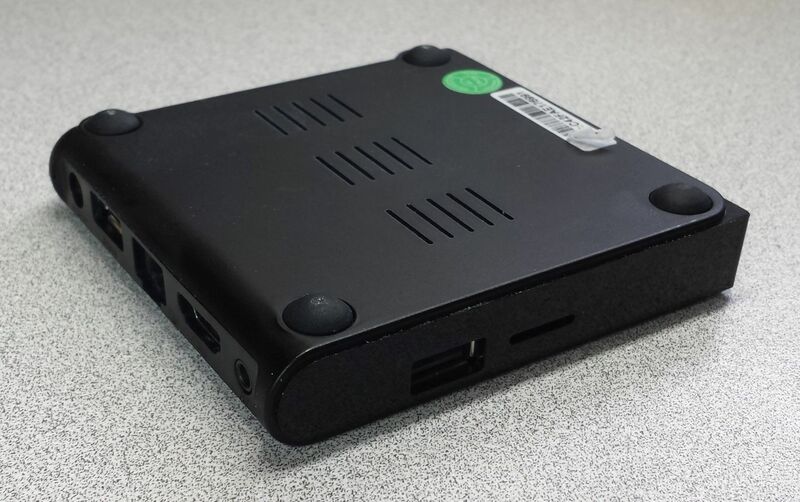 Note: I originally wrote this review in September of 2016 and have since tried several other more powerful Android boxes which I like better, but so far none have been perfect. I've used several network media players, such as the TiVo HD (with Streambaby), Western Digital WDTV Live, Brite-View BV5005Hd, Egreat EG-M34A, Nixeus Fusion HD NX-1000, and Micca EP600 G2 so I have some experience with these types of devices. 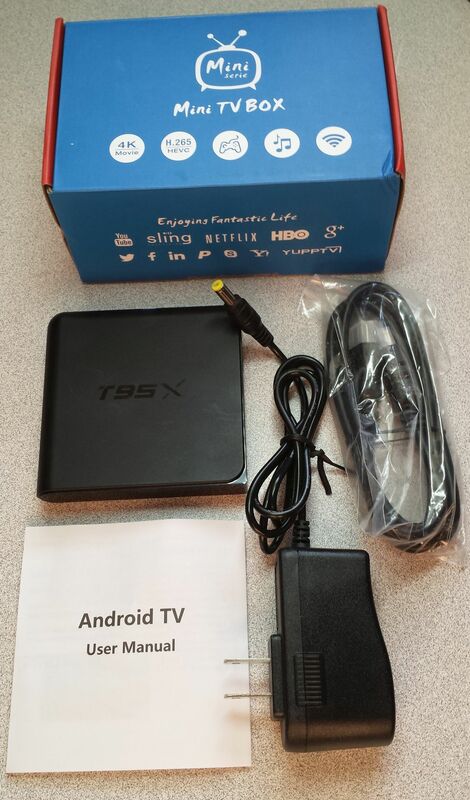 Each of them had faults, and this HONGYU T95X Android 6.0 TV BOX is no different. 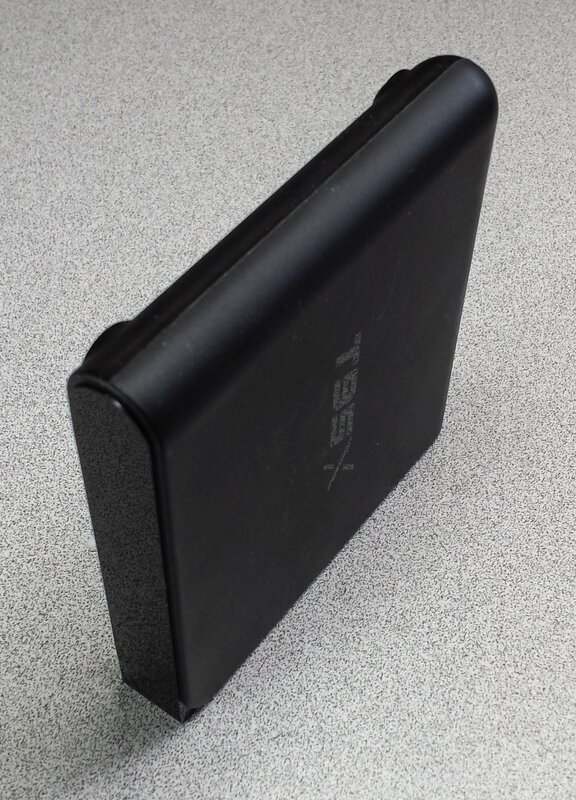 I'd also like to point out that this T95X box can be found all over Amazon under different company names, but they are all the exact same device. Just check the stats, they all have an Amlogic S905X Quad Core 64bit CPU, 1GB RAM, 8GB internal storage, and run Android 6 (Marshmallow). So the only real difference is the support you will receive from the company. This is going to be a relatively long review, so let me just start off with a quick overview. This device has a tiny footprint, can play every video file I threw at it without slowing down or buffering, has an amazing media player called Kodi pre-installed which lets you build a detailed library of all your movies and TV shows, and is easy on the wallet. However, it crashed hard several times which I believe was from overheating due to the vents being on the underside of the device. When I started using it flipped upside down or set on its side I stopped experiencing those hard crashes. Also, the remote lacks all the buttons I personally desire in a media player remote, though that doesn't limit the player's functionality at all since all controls not on the remote can be accessed on screen. Over a decade ago I took all our DVDs (which we had loaded in two Pioneer DV-F727 300+1 DVD carousels that were linked together) and started ripping them to an external hard drive. I didn't know exactly what I was doing when I started but I learned as I went, and by the time I finished encoding our last DVD we had a mixed collection of videos encoded in a variety of ways. Then Blu-ray came along and file sizes got a whole lot bigger! Enter High Efficiency Video Coding, otherwise known as HEVC or H.265, a relatively new video encoding standard that cuts files sizes in half with no loss to picture quality (compared to H.264 encoding). Unfortunately, our Micca EP600 G2 was too old to handle HEVC encoded files so I started looking for one that could. I settled on this one because it didn't cost too much and I was able to get it at a discount in exchange for providing a review which made it cost even less. For my wife and I the primary purpose of this media player is for streaming video files from our local network, not for streaming outside content such as Netflix. The first thing I noticed about this device is how small it is, 3.5 inches wide, 3.5 inches deep, and about 0.7 inches tall. 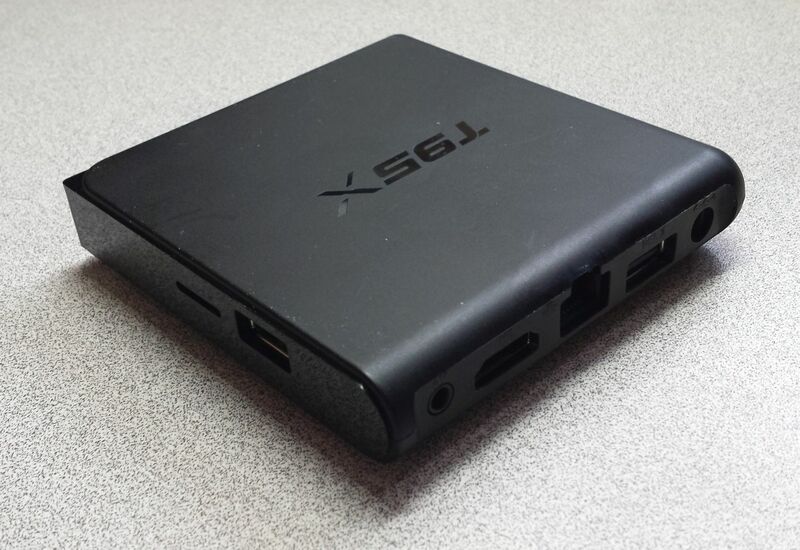 On the back it has an HDMI port, ethernet port, power cable port, A/V port, and USB port. On the side are a memory card port and another USB port. The front shows one LED behind the black translucent plastic, dim red when it's off and bright blue when it's on. There are no buttons, not even a power button. All control is handled through the included remote control which takes 2 AAA batteries. The remote is fairly small at about 5.5 inches tall and 1.75 inches wide. It's not very powerful either, as it struggles to work at 11 feet away. It also doesn't have all the normal buttons you would expect from a device designed to play videos, as there is no play button, pause, stop, fast forward, rewind, next chapter/file, or previous chapter/file. What you do get is a number pad, a directional pad with an OK button, then a home, back, menu, mouse, setup, app, and volume buttons. Hitting the mouse button will toggle mouse mode on and off, and when on a mouse cursor will appear which you can then move with the directional pad. This is to help you navigate the Android operating system when you're not in the Kodi app. Kodi is designed to work with a remote, but Android isn't. You can also use a USB mouse and keyboard which really helps. I had a Logitech wireless USB mouse and keyboard set so I plugged the USB receiver into the device and was able to use both the mouse and keyboard without any kind of setup, but you can buy Bluetooth remotes that have small built-in keyboards if you want. You can also use your smartphone as a Kodi remote by downloading an app called Kore, but that's for controlling Kodi, not Android. The Kodi app is what you'll be using to stream your local media files. There are two basic ways to access your files, navigating through your network to the file you want or building a library and then selecting the file from the library. For both methods you still have to do initial setup and tell it where your video sources are located. To do this you go to Videos -> Files -> Add Videos... -> Browse, and then navigate your network to where ever you store your videos. Once selected you're given the option to give it a name, though we just keep it the same as the folder name. Let’s call it OurMoviesSourceFolder. The network navigation method is what we currently use with our Micca media player. To play a file we would navigate to Videos> Files > OurMoviesSourceFolder > AMovieFolder > AMovieFile and then hit the OK button on the remote. This machine can play a wide variety of video files, such as mkv, avi, mpg, wmv, and flv files, plus straight DVD rips, both of the ISO variety or DVD VIDEO_TS folders. And of course it can play H.265 encoded videos. This player had no problem playing any of the files I threw at it, and all files were streamed over our network yet there was no waiting or buffering to stutter or anything. So far so good, and if that's all you want this box for then the only downside is the lack of specific media buttons on the remote that I mentioned earlier. To pause a video, or fast forward or stop or whatever, you have to click the OK button to bring up the on screen controls, then use the directional pad to select the control you want, and then hit OK. This procedure is also how you control subtitles, audio tracks, video settings, and bookmarks. This was annoying at first but after a week of using the box I have become accustomed to it. Still, if I were to buy another media player I think I would spring for one that has a more media-friendly remote. Now, on to the library method. You might think this is sounding more like a Kodi tutorial than a review of the media player, but building the library does affect the box which is why I'm going over it. To start building your movie library you navigate to your source folder, OurMoviesSourceFolder, and then click the menu button on the remote (or click hold the OK button until the menu pops up) and select "Change content". Then you select "Movies" and click on the OK button. This causes Kodi to start scraping all of your videos, which means it goes through each one and tries to find information about it online, such as artwork, year, cast, crew, genre, summary, etc. Once it's done you then have a library of videos available to browse and play. Just go Movies on the main menu and you will have a list of all your movies with all that information available, some of it which can be used to sort on or filter on or create auto-playlists or whatever. It's a really cool feature of Kodi and once you start using it you won't want to go back. Unfortunately, this scraping also causes the box to get really hot. This little media player contains no fan to help dissipate heat and for some reason the vents are located on the bottom. I was not aware of this initially and I had Kodi scrape our video files several times while I was still figuring out the proper way to name everything so that the correct information would be picked up, and I believed this caused the box to overheat and crash. What I mean by crash is that all of a sudden the box would stop putting out a signal through the HDMI cable even though the blue light on the front remained on. Detaching and reattaching the HDMI cable did not help and the only way I could get it to come back was to unplug and re-plug in the box. This happened many times and I was in various locations in Kodi when it happened so it was not specific to a specific screen. I got so frustrated with this crashing that I finally just unhooked the box and let it sit unused for a couple days. When I hooked it up again, I kept it either upside down or on its side so the vents weren't facing down and the heat had somewhere to go. Since then I have not had it noticeably crash once. There were still a couple times when I woke up in the morning and the dim red light was on but the box wouldn't turn on with the remote so I had to unplug it, but I'm not sure if that's the same issue. I'm also not sure if all that early overheating caused permanent damage to the box. It's possible that some of the capacitors were damaged due to the heat. So if you get this box I'd recommend buying some little rubber feet from the store (or taking off the feet from the bottom of the box) and putting those on the top of the box in order to convert the top into the bottom. You can also stand it upright if you don't plug anything into the side of the box with the memory card and USB port since that side is flat. The opposite side is rounded so it can't be stood up on that side without some help (if you have some spare Legos lying around you could build a little rig to keep it standing). The latest version of Kodi came pre-installed but it was branded with TV ADDONS, which is a company or something that has a bunch of Kodi add-ons. And several of their add-ons were also pre-installed. After all of the crashing I decided to completely remove Kodi and download a fresh copy from the Google Play Store. When I tried to open the Google Play Store app I got the message "This version of the app isn't compatible with your device. To fix this problem, go to Settings and uninstall updates for the Google Play Store app." and had to do just what it said. I uninstalled the updates, power cycled the media player, and then I was able to launch Google Play Store and download a fresh version of Kodi. This didn't help with the crashing, however, as it was before I figured out the overheating problem. Anyway, let's get back to playing videos with Kodi. When playing a video, aside from fast forwarding and rewinding you can also skip forward and backward using the d-pad. Pressing right will skip 10 seconds, pressing again skips 30 seconds, once more will do 1 minute, and on and on. Pressing left goes backwards. These times can be configured from the Settings menu so you can change them to whatever you wish. Also, pressing up on the remote will skip ahead 10 minutes, and pressing down will go back 10 minutes. These are nice to have for skipping back to hear some missed dialog or skipping forward to reach the part of the movie where you last left off. Not that you'll need to do the later very much since Kodi remembers where you stopped a video and when you try to play it again it will ask if you want to continue from that time (another great feature!). It also displays little icons next to the videos to let you know which ones you've watched and which ones you're in the process of watching. Of course, this can change if you happen to install a skin that doesn't support it. Kodi supports different skins which can be downloaded through the device from a repository or installed via FTP if you install an app which gives you FTP access (such as ES File Explorer). These skins don't just give Kodi a new look, they can give it new features. For instance, the skin Aeon Nox lets you completely customize the main menu and each of the sub-menus, and gives you many options for how to display your media files such as in a list with box art and media info off to the side, or having the box art all laid out in a grid, or having a carousel of box art. And the list goes on. You can even create your own skins, if you so desire. Kodi is definitely a very cool media player, but I do have to say it has crashed many, many times. Thankfully, never while it actually playing a video. I have no idea what causes it to crash as it seems to happen at all different times, but it's not nearly as bad as having the device crash because when Kodi closes you can just open it right up again and continue on. 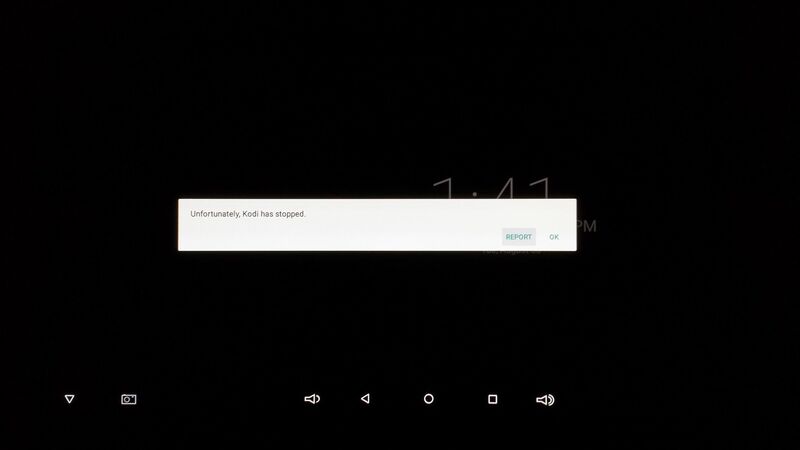 With the device crash you have to actually get up, go over to it and physically unplug it. I suppose it's possible that the Kodi crashes have something to do with damage the device may have suffered when it was overheating, there's just no way for me to know without actually buying another one. I do actually intend to buy another streaming media player that runs Kodi, but not this one. I have my eye on the upgraded Hongyu ENYBOX X1 TV Box that has similar specs but has 2 GB RAM instead of 1GB, 16GB internal storage instead of 8GB, and a remote with all the buttons that I desire. It also has built-in Wi-Fi and a front digital display, though we don't really need either of those features. So, would I recommend it? I think it's a good box for someone who is new to Kodi or to streaming local media in general and wants to experiment without spending a whole lot, but for someone like me who has been streaming our video collection for over a decade I would want a remote with more buttons to the controls that we frequently use, like switching subtitles and audio tracks. And pause. I'd really prefer to just hit pause instead of hitting OK to bring up the controls and then hitting it again to pause. I am glad that I started with this box, spending a little to see how I liked running an Android box rather than a lot on a box to find out I hated it. Now that I know I like Kodi and that streaming over an Android box works fine, it's time to look at an upgraded unit.